Ben was born in Denver, Colorado but spent most of his childhood in Venezuela as the son of missionaries. He graduated from Moody Bible Institute in Chicago where he met his wife, Jill. They have 3 sons. Ben came to know Jesus as his Lord and Savior and was called to serve, preach the Word of God, and equip others for ministry in the local church. After 14 years pastoring in Minnesota, Ben began his ministry with Rimrock in January 2018. Ben’s desire for Rimrock is that we would together treasure Jesus Christ as Lord and Savior, and that we would experience the life giving grace and love of God and share this treasure of grace with all people in the Rapid City region and around the world. 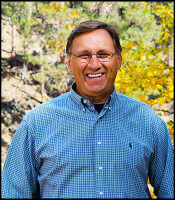 Mike Hays moved to the Black Hills and came on staff as the Associate Pastor at Rimrock in 1989. After 10 years in the business community, he followed God’s call to apply his management experience within the church community. With his background and love for God’s people, Mike’s primary ministry is helping manage God’s resources at Rimrock as he oversees the adult ministries to encourage, disciple, and guide them into their areas of God’s call. He also oversees the physical property and finance teams. Bill was ordained as a pastor in 1996 through the Evangelical Church Alliance, Bradley, IL. Bill founded Christian Life Ministries. He continues to counsel at CLM but also serves as a teaching pastor at Rimrock Church. Drew joined Rimrock in September 2014 and is the pastor for high school and college age students, as well as the overseer of the middle school ministry. 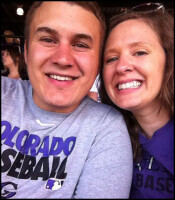 He was in youth ministry in Colorado for 4 years prior to coming to Rapid City. He thoroughly loves the Black Hills, especially because that is where his wonderful bride is from. When it comes to young adults, he realizes that it is vital to do more than just prepare a lesson each week. Discipleship is personal, not distant. He understands he needs to invest in them personally before they will invest in anything he teaches them. He loves his job and watching students unleash the freedom of God's truth in their lives. Evan has been a part of Rimrock Downtown from the beginning. Back in 2012, when it was a 3rd service, he was brought on as a guest teacher. Over the years, his desire and passion for the community has grown. In the spring of 2017, he felt God calling him to dedicate more of his time and energy to RD. As the community began to grow and developed into a 2nd campus, he was asked to dedicate even more of his time and become the Exchange Pastor. He is humbled to have a role in God bringing his goodness to this world and is excited to watch a talented group of followers of Jesus walk out God's plan for Downtown. Boomer came to Rimrock in the Summer of 2015 as the new Children’s Pastor. He has over 20 years experience in children’s ministry. 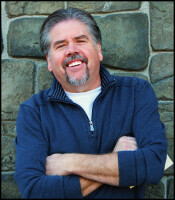 He has developed & implemented worship and teaching environments for large and small groups. He is able to speak “kid” to communicate truths in interesting and exciting ways. He is married to Angie and they have 2 children:Kara & Blake (teens). Bob grew up in the Denver area (Go Broncos). This is where he was first introduced to Jesus. And at 18 he knew he needed something that supplied real life, and Jesus was that answer. This is also where he met Sharon, his wife of over 40 years. They have four wonderful kids, and now have seven beautiful grandkids. 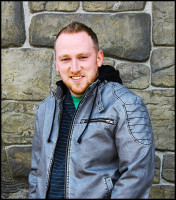 After lots of encouragement and a love for God, he decided to pursue a life in youth ministry and went off to college. Not the traditional student at 32 years old, as well as having a wife and kids, but he loved it. 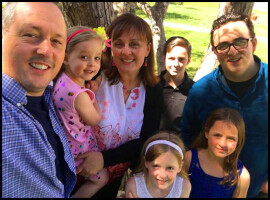 After college he was called to a church in Rapid City, SD where he served for 15 years. Bob has been involved in youth ministry for almost 40 years. He also counsels at CLM and is an Elder at Rimrock. Karen works alongside Bob in the middle school ministry. She has worked with youth for over 15 years. She has a passion for showing Christ’s love and acceptance to young people; she feels blessed to use her giftedness in ministry. Outside of working with middle schoolers, she is married to Lou (25+ years), has 3 grown children and loves to be in the kitchen. 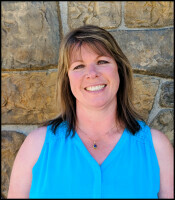 Karen knows she has been called to be at Rimrock and to serve in this role. 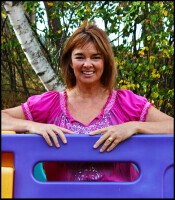 Gloria Whites came on staff as the Early Childhood Coordinator in 2005. She loves the little ones and uses the talents God has given her to teach and nurture those from 3 years through kindergarten. She is also a certified Pilates instructor (in her spare time). Rebecca and her family returned to the Black Hills in June 2016 after being in Illinois for the past 13 years. She and Kort have five kids (Gabe, Jackson, Kaitlynn, Ellie and Makayla) that keep them smiling and make them feel young, even on the crazy days! Rebecca is a former classroom teacher and has been homeschooling her own kiddos for the past 11 years. She believes truth, love and lots of encouragement are at the heart of any great ministry-especially the ministry of parenting! 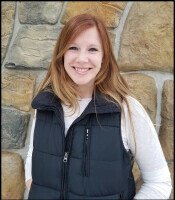 She is super excited to be a part of the Rimrock team and is passionate about ministering to families of all shapes and sizes in her new role as Nursery and Toddler Coordinator. 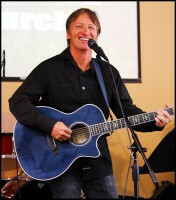 Tom has attended Rimrock for almost 20 years and has been involved with the music ministry at various times. He now has the great privilege of leading the family at Rimrock in musical praise of our loving Father. His ministry would not be possible without the incredible group of musicians and singers God has surrounded him with, each of whom is his friend. He is married to Terri and they have 2 grown children, Patrick and Deidre. In his free time he enjoys exercise and hanging with his wife Terri and friends. His favorite verse is: 1 Peter 4:10 "As each has received a special gift, employ it in serving one another as good stewards of the manifold grace of God." 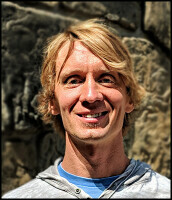 Levi is the Director of Communications & Technical Ministries at Rimrock. He finds solutions to technical problems, supports Sunday service through graphic design, video editing and animation, and video capture. He is a graphic designer, video editor and animator. He edits and creates content for the website, and loves working with the Rimrock Staff. 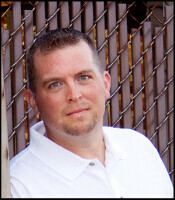 He has a diverse background in technology, attended trade-school for Computer Networking, and attended Cedarville University where he graduated with a Bachelors degree in Comprehensive Biblical Studies with an emphasis on Pastoral Studies. He is married to a wonderful woman and has two children. Karie and her husband Josh have been a part of Rimrock since 2010. They helped start the Saturday Night service, Rimrock Downtown and have played an active part in the development of the Exchange campus. 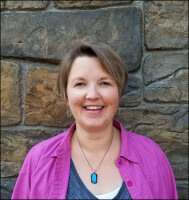 Karie’s roles involve administrative support to Rimrock Downtown, ministry over-site to Exchange ministries, and encouraging ministry which reaches into our community. Karie and Josh have two daughters: Jeyda & Samara. Karie is also a part-time RN at Regional Hospital. Aimee Dent, our Administrative Assistant, has been attending Rimrock since June 2015. Aimee is a mom of two boys, and moved to the Black Hills, from Virginia, to complete her training at Christian Life Ministries. She has the gifting mix of Service and Encouragement, and enjoys seeing God work in her life as He uses these gifts. Her motto is "Living Surrendered". 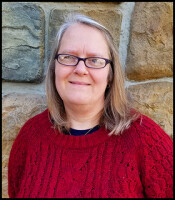 Jeannie joined the staff summer of 2015 as the Connection Coordinator. She assists newcomers to Rimrock by helping them get plugged into small groups or ministries. She is married to Mason and they have 3 children. 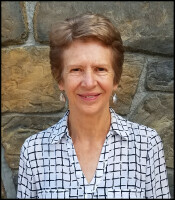 Betty joined the staff as our bookkeeper in June of 2016. Her primary role is financial; book keeping, bill paying, etc. She & Bob have been married for 50 ish years and have run several successful businesses over the years.